Nathan P. Coussens joined NCATS in 2013 as a research scientist. He also serves as the editor-in-chief of the Assay Guidance Manual. Coussens maintains a diverse target portfolio and is part of a collaborative, interdisciplinary team of scientists and engineers focused on developing small molecule probes from active compounds discovered through high-throughput screening. 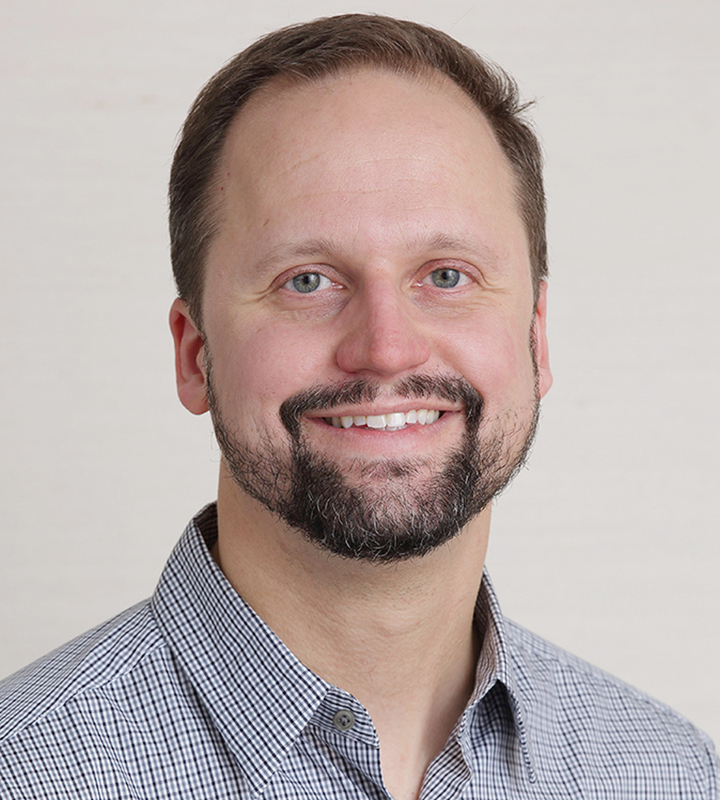 Coussens received a Ph.D. in biochemistry in 2007 from the University of Iowa, where he combined structural and biophysical approaches to study host-pathogen interactions. As a fellow of the Immunology Postdoctoral Training Program, Coussens joined a collaboration working to develop novel therapeutics targeting a host evasion mechanism exploited by families of pathogenic bacteria. He contributed to the structure-assisted design of small molecule inhibitors for sialic acid-binding protein from nontypeable Haemophilus influenzae. As a postdoctoral fellow in the laboratory of Lawrence E. Samelson, M.D., at the National Cancer Institute, Coussens used a multi-angle approach to study signaling in T lymphocytes. His work used biophysical techniques to characterize interactions between critical proteins that transduce signals initiated by the T-cell antigen receptor. Coussens further generated stable cell lines and carried out biological studies and high-resolution imaging to demonstrate the relevance of protein interactions to signaling in T cells. Coussens aims to use biologically and pharmacologically relevant assays to facilitate the identification of active compounds from high-throughput screens to serve as starting points for molecular probe development. Moreover, he is committed to driving the advancement of such compounds into pre-clinical research and studies to enable submission of Investigational New Drug applications for novel therapeutics development. The linker for activation of T cells (LAT) signaling hub: from signaling complexes to microclusters. Strategies for assessing proton linkage to bimolecular interactions by global analysis of isothermal titration calorimetry data. Ablation of Smurf2 reveals an inhibition in TGF-β signalling through multiple mono-ubiquitination of Smad3.